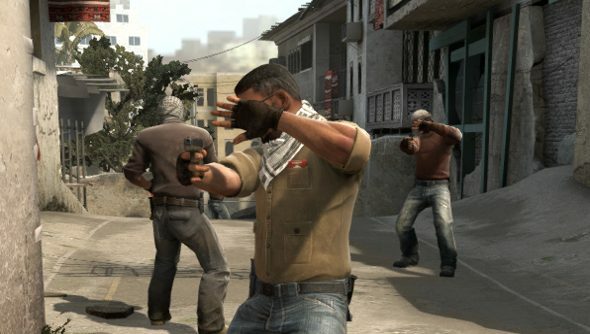 Counter Strike: Global Offensive’s October patch adds a slew of tweaks including a number of visual and animation changes. Most obvious is the way character models now raise their hands to shield their eyes when confronted by a pesky, disorientating flashbang. The hitbox is affected by the animation, but if you’ve got a headshot lined up, the bullet will bypass the hand and go straight for the head. What a relief. As well as the new flashbang animations there are changes to CT’s Fiveseven and T’s Tec-9 view model animations, scope blur while moving and general improvements to the spectating experience like preset camera positions. The full list of patch details can be found here.